Paris(web team): On the 100th anniversary of World War 1 on Saturday, PM Modi visited the WWI Memorial at Neuve Chapelle. Later in the day, he addressed Indian diaspora at Carrousel du Louvre in Paris.Indians did not fight in World War I because they wanted to expand their territorial boundaries, PM Modi said at the Carrousel du Louvre in Paris. Prime Minister Narendra Modi on Saturday visited the Airbus A 380 assembly line facility soon after arriving in Toulouse. Toulouse is the home as well for the Airbus’ A380 final assembly line – a massive facility that provides a space of 150,000 square metres for the flagship double-deck jetliner. Expressing support to 'Make in India' initiative, aircraft manufacturer Airbus said it is ready to manufacture in India, as Prime Minister Narendra Modi visited its facility. Prime Minister speaks at community reception in Paris. 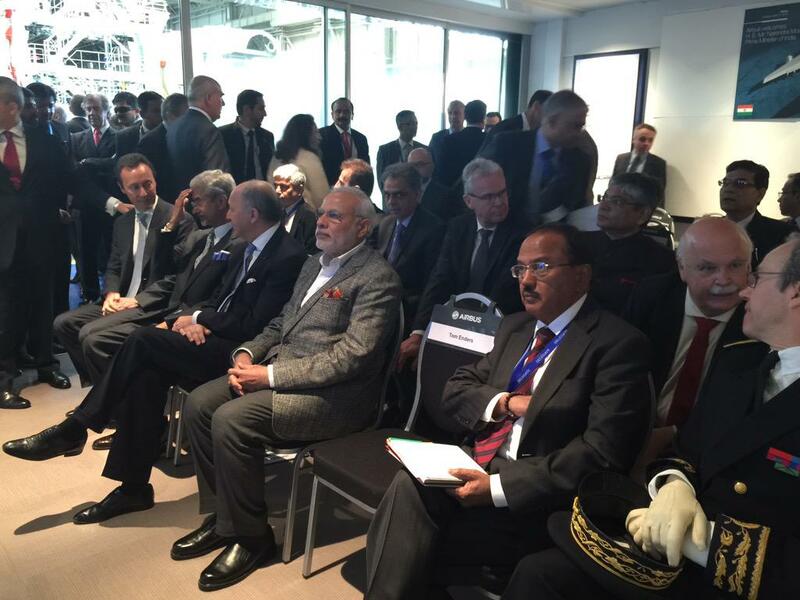 Prime Minister Narendra Modi delivers a speech at the community reception at Carrousel du Louvre in Paris. He said, "Earlier I wanted to visit France out of curiosity,to see how it is,Today I've come with a dream to take my nation ahead." He said further that Indians are ready to sacrifice their lives not only for their own country, but for the betterment of other countries in the world too. That is proven by World War I. "Indians did not fight because they wanted to expand their territorial boundaries," he added. Talking about France-India relations, PM Modi says, "France is the first one to raise its voice if injustice is done to India, such is our relationship."